Whirlpool microwaves are known for their amazing services and quality with a good number of followers in Indian market, who swear by the brand. Like any other appliance in the house, your microwave can demand repairs and servicing at times, mostly because of regular use. While Whirlpool has done its bit in opening the service centers for the customers, but the main issue arises when your oven is beyond the warranty period and needs to be checked to the core. If you are looking for Whirlpool microwave Service Centre Bangalore, we are your first choice for more than a few reasons. Check why your microwave is asking for an expert! Which are the common problems in microwaves? No matter the brand, it is likely that you would face a few of the common issues with the microwave in general. The first one is related to the heating, which may have stopped or not up to the mark. Adding to that, there can be plenty of issues related to the turntable, bulb, door or even the buttons of the machine, which can go wrong at any point of time. 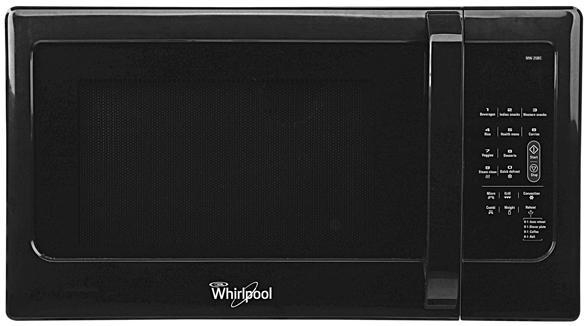 In short, if you feel your Whirlpool microwave is not working to its potential, make sure to call the experts from our team at the earliest, instead of waiting for the machine to stop completely!! Being the leading Whirlpool microwave repair option in the IT city, we are offering our services in all the leading residential and commercial places. We are currently operating in all areas surrounding the city along with places like Shankarapurum, Shadashivnagar, Koramangala, Jayanaga, Kumarapark, Malleshwaram, and Rajajinagar to name a few. We understand your concerns with a private service, but we are the only company that takes complete responsibility of the services offered. For each microwave we repair, we offer complete estimate to the customer ahead of taking charge of the product, to ensure the customer has complete freedom on making a choice. Adding to this, our inspection takes less than day in most cases, because we don’t believe in waiting. Once the problem is identified, we ensure the repairs are completed within the most limited time. Yes, we offer guarantee of 30 days on products repaired by us, subject to terms and conditions. Depending on the model of Whirlpool and its condition, we ensure the product goes back to the customer in mint condition. We are the leaders in the market when it comes to servicing clients on holidays and weekends. Our repairmen are available for 7 days of the week and even on national holidays, waiting to reach on a single call. Unlike authorized centers that take their own time in repairing your oven, we often check and repair products at home, depending on the kind of servicing needed. For parts and issues that need more detailed work, we always offer a time to clients before we can return the microwave back. Have a question or need a genuine service check on the device for better working? Feel free to call or email us for any kind of microwave service needs! We happily look forward to catering all parts of Bangalore with authentic guarantee on work and lowest prices in town.